THIS PROMOTION HAS ENDED. PLEASE CHECK BACK NEXT WEEK. Good Morning everyone and especially to our Bargain Club Members! Anyone finding this post that isn't signed up, be sure and enter your name in the footer of our website to be included. I send out stuff about once a month showing off new products, special discounts, blog features, and more! Now for the reason most of you are here! 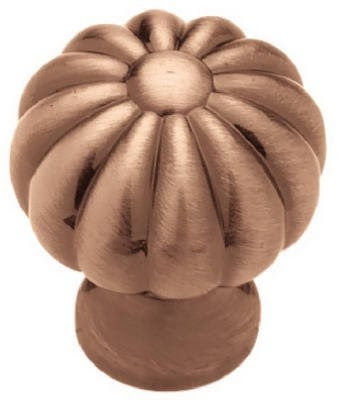 Today's knob is a little pumpkin shaped knob (perfect for this time of year) from Liberty Hardware in a satin red antique copper. 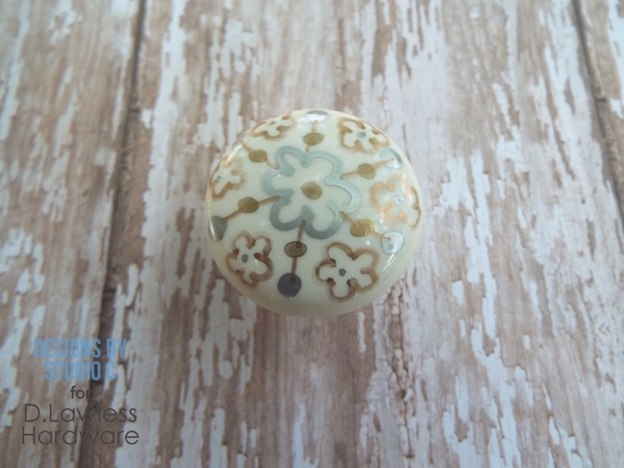 Liberty stopped making these knobs so it's hard to find anything that matches it, but it's a stand alone beauty if all you need is knobs for a project. The (very few) rules are at the bottom for how to get these knobs free. I hope to have lots of participants this week since FHF is being included in the Bargain Club this week. Have a great weekend everyone! Plastic knobs are great on any project because they are inexpensive but they are very plain. There are many ways to dress them up to reflect the style of any project and one of those ways is by using metallic markers! The cool thing about using markers on the plastic knobs is that it is virtually impossible to mess them up! If a mistake is made, a bit of rubbing alcohol on a cotton swab will remove the ink and the design can be started over. Trust me, I did this quite a few times! I drew random dots, circles, squiggles and even flowers on the top of each knob. I wanted each design to be different – I think it is more fun that way! Markers in other colors can also be used for a vibrant and bright pop of color on each knob! Paint markers can be used, as well. A clear sealer for the knobs is not necessary if using the Sharpie brand of markers. 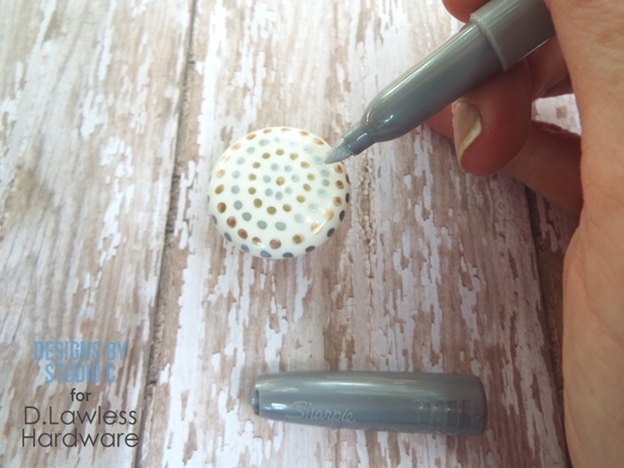 Other brands of markers may require a test with sealer to see if the colors bleed – then again, that may make a whole new design for the knobs! 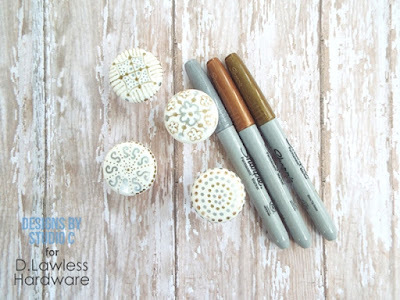 Super fine-tipped markers can be used to write words on the knobs – something sentimental or inspiring would be great on any furniture or organization project! The knobs can also be spray painted in any color (preferably a light color) before using the markers. 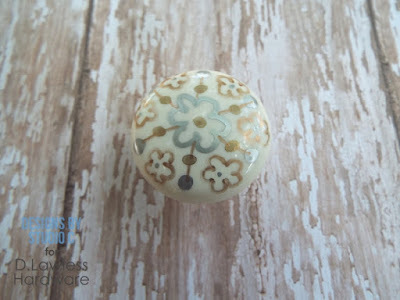 So don’t overlook these inexpensive drawer knobs… With a few markers, they can be turned into something fabulous that will fit into any home décor style and look great on any project! I'm late to post today but I have something a little different. 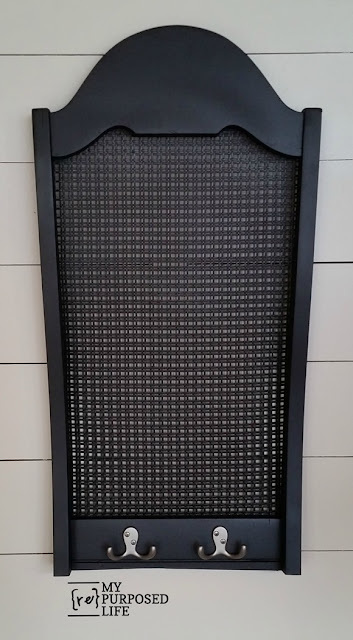 We sell a ton of these decorative box corners but I never get any pictures back! I'd love it for some of our readers to use them and get me some in use shots of these little brass box corners. Here they are and the rules are below! We had our hardware all over this month and I couldn't be happier! Part of the reason we had so many is because we were the sponsor of the Fab Furniture Flipping Contest this month with main host 58 Water Street. I'll start out with Colleen's piece from the contest and then just go in order from there. Here's her great dresser makeover using satin brass drawer pulls from Amerock. 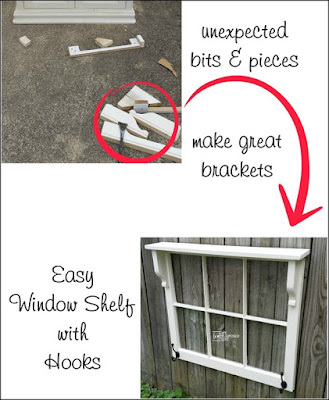 Next up in August was this easy DIY window shelf from My Repurposed Life. I love how Gail is always creating awesome stuff out of what most people might throw out! In the second photo you can see her using another style of our hooks on a chair backed jewelry display! Next up is a unique kitchen redesign from The Newly Woodwards where they used catches on the kitchen cabinets and it looks beautiful! Not to mention making their kitchen stand out from the ordinary. Click through to see the full white kitchen! 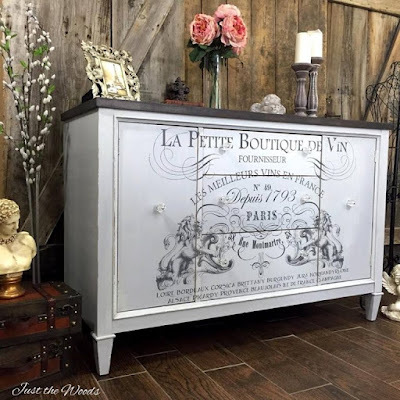 This project comes from My Creative Days and features some of our super popular bail pulls on a beautiful DIY nursery dresser that she took from total junk to a beautiful piece fit for any nursery. 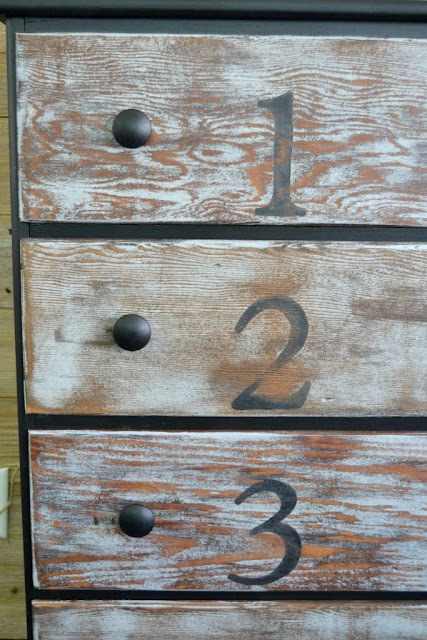 The second shot is from a rustic numbered dresser using little black knobs from us! The next project features a product line we are very proud of. About three or four years ago we realized that the only way to get label holders was to pay two or three bucks each! So we came out with our own line all under .60 and we literally sell 100,000s a year now! Here are the nickel plated simple label holders in use at Sawdust Girl helping organize her craft room! Knobs from us too! Every month we've got at least one from Embracing Change! 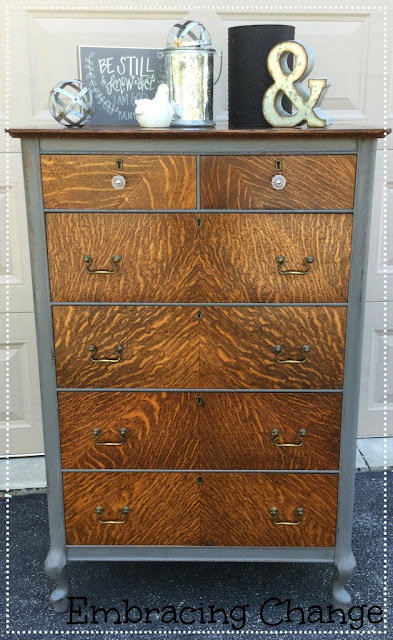 This beauty uses our decagon glass knobs alongside the same bail pulls as My Creative Days used above! I absolutely love leaving the wood grain to shine! Most of the posts you see I have sponsored in the way of providing hardware for the projects. I hunt down people doing great work and contact them. But I get lucky sometimes and get featured in a post I had nothing to do with. 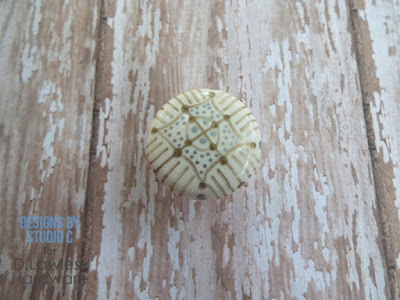 We call those "organic" posts and this one from Gypsy Magpie uses our matching antique style glass knobs! 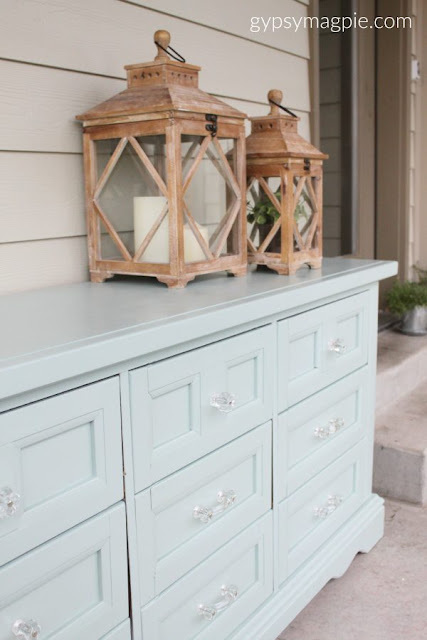 We worked with Crafting in the Rain before on her kitchen and now we have a lovely little teal dresser to show off featuring our antique pewter cup pulls and glass knobs! Another organic post, this time from Simply Beautiful by Angela! 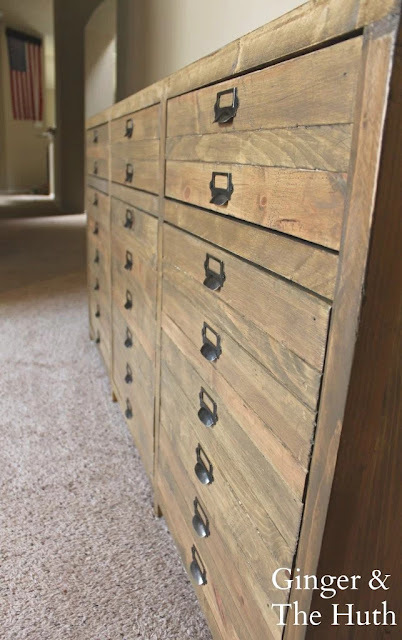 Angela uses our affordable label holders on a vintage style faux card catalog! Next time the hardware is on us Angela! The next two posts were organic as well! Very fitting that so many of our organic posts this month were using our label holders. They are great products and we are super proud of making them so affordable to so many people as they really add up when you need a bunch. Here's one from Ginger & The Huth and another from Farmgirl Outfitters! 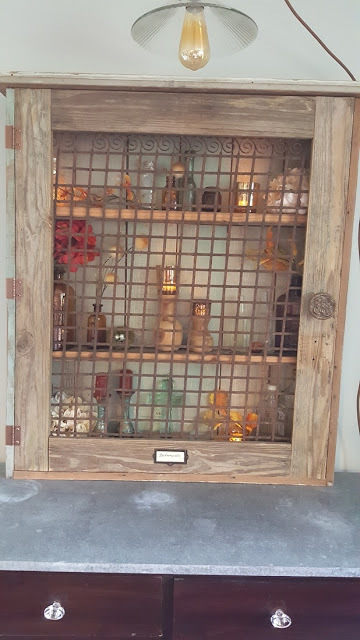 From Ginger & The Huth we see a beautiful Restoration Hardware style TV console and from Farmgirl Outfitters we have a nice wall cabinet for all your stuff that just HAS to be displayed for all to see! We love being included in how to articles because those are the articles people tend to save and share the most. 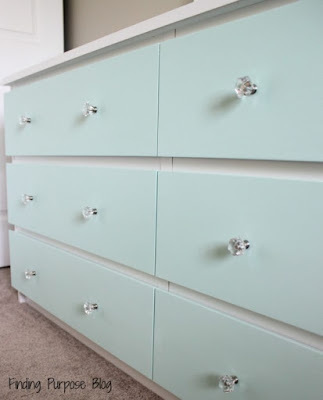 This is a great example from Finding Purpose where our knobs were added after a how to paint laminate furniture. And last but certainly not least (I just go by the date posted) is this image transfer beauty from Just the Woods! We work with Kandice frequently and always get awesome photos! I'm in a hurry! Here's today's knob and the rules are below! Our customers and small business partners do some incredible cabinet, furniture, and home transformations. 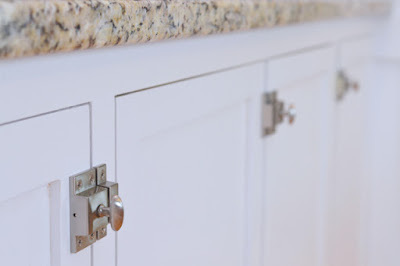 From desks to whole kitchen remodels, we are going to take a look at some of the best before and after project photos using our hardware. One man's trash is another man's treasure. This blue and white painted desk makeover cost only $9 from a thrift store. The desk was solid wood with a finished back and even doors that were dovetailed. A perfect piece for an incredible makeover opportunity. 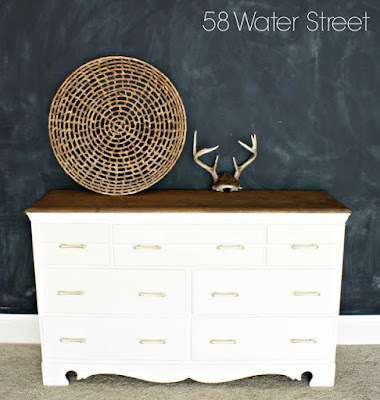 Check out Kim Six to walk you through this desk makeover from start to finish. 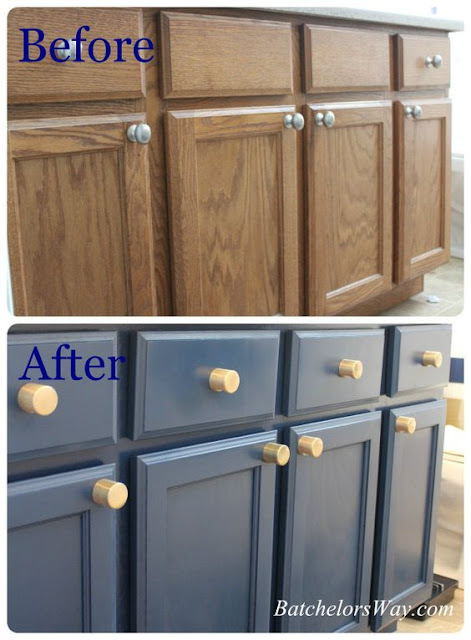 Batchelors Way takes these builder grade oak cabinets and gives them a much needed upgrade. 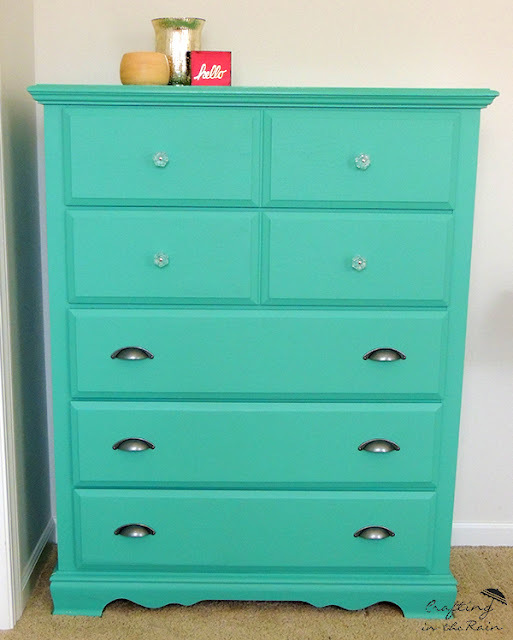 She color matched the spray paint and then hand painted the cabinet frame in place. The final touches were our brushed brass whistle knobs. This liquor cabinet makeover is goregous! 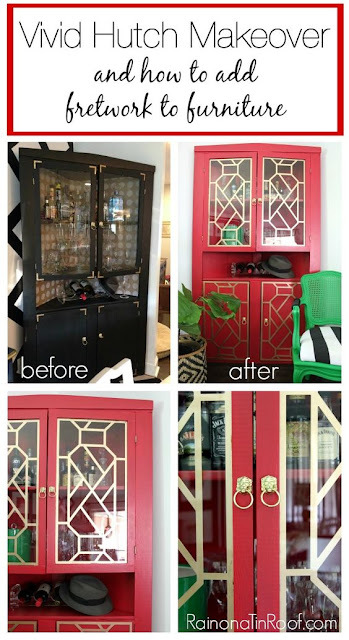 Black to a vivid red, with some incredible fretwork this is a great piece to learn from. Rain on a Tin Roof brings this hutch makeover to you. 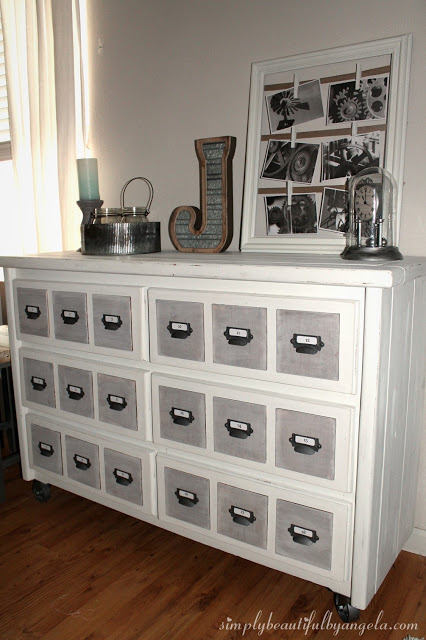 This DIY antique wood filing cabinet goes from a whitewashed dark grey to a Benjamin Moore Dove White. Complete with our line of antique brass cup pull label holders, this will make for some fine organizing. Brought to you by Delightfully Noted Blog. 2.5 years in the making, 2 gallons of paint, and countless buckets of concrete, along with a ton of sweat make this kitchen makeover an incredible transformation. 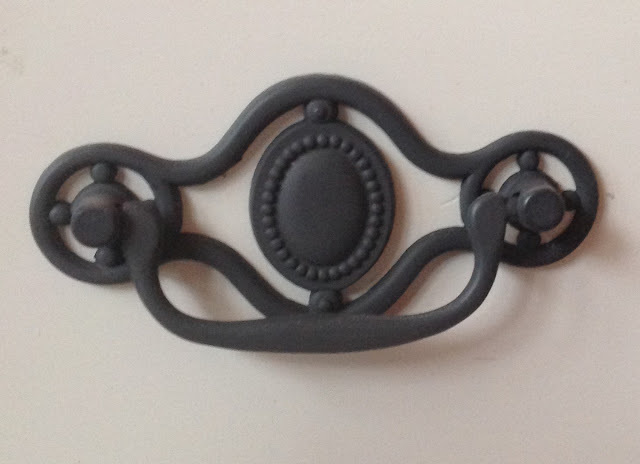 Our oil rubbed bronze hardware provides a nice accent to the kitchen as well. Check out the before to after process at Blesser House. 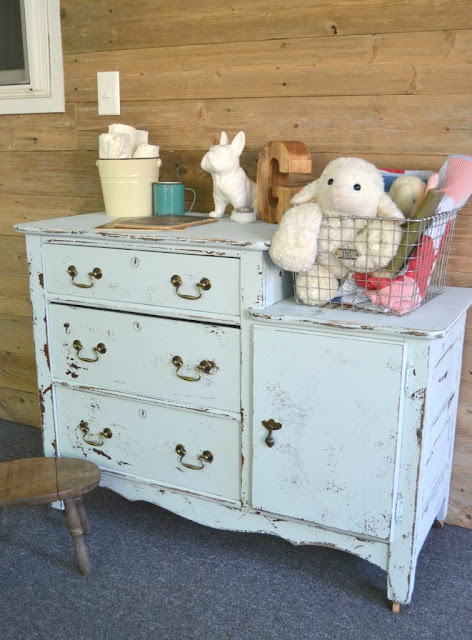 This DIY furniture nursery set looks fantastic with its new distressed blue paint job. D. Lawless Hardware bail pulls were add for a sweet finishing touch. See the start to finish and how to do it yourself from My Creative Days. This is an adorable bathroom remodel for a kid, but also stylish for adults! Features gray floor tiles, a purple vanity, black and white curtain, chrome faucet, a white quartz counter, and our satin nickel pulls. Rain on a Tin Roof delivers again. Introducing our Country Store Collection! We've had our own cup pulls that are extremely popular for quite awhile. The problem was that we didn't have a D. Lawless knob to match each of the cup pulls. We consistently referred people to other products with finishes so close that no one would tell. But no more! I know something about country stores. Some of my earliest recollections are from hanging out in the Lawless Grocery owned by my Grandma and Grandpa. It was a wonderland for a little tot - wood floors, ceiling fans, fresh vegetables, milk and meat from local farms, a large seed counter with drawers full of gardening seeds which just happened to have bin pulls similar to these, and oh yea, what seemed to be a huge candy counter. For a successful business, it seemed pretty laid back from a kid's perspective, but I am sure Gramps was a busy man who just found time for me. He traded comic books with neighborhood kids two for one. With a 5 cent daily allowance for beverages and candy, and all the comic books I could read I was totally spoiled in that store. So, for the good and peaceful memories of Grampa's store, I dub this collection the "Country Store Collection." We've got seven sets of perfectly matching cup pulls and knobs, all at great prices for such beautiful hardware. Here they are in antique english, antique pewter, bright brass, matte chrome, oil rubbed bronze, flat black, and chrome! No Free Hardware Friday Tomorrow - Brian Regan for me! I'm leaving today to go see Brian Regan in Wabash, IN. No Free Hardware Friday til next week. Here's one of my favorite Regan jokes, have a nice weekend everyone! Good Morning! I missed last week but I'm back now and we've got a lot of nice knobs from children's movies we came across a few years back. They are selling alright but I need some photos and exposure so today I've got three Buzz Lightyear ceramic knobs for a child's playroom. Now I know some of these are a bit dated but what are you gonna do? Surely there are still plenty of Buzz fans out there! Here are the knobs and the rules are below! 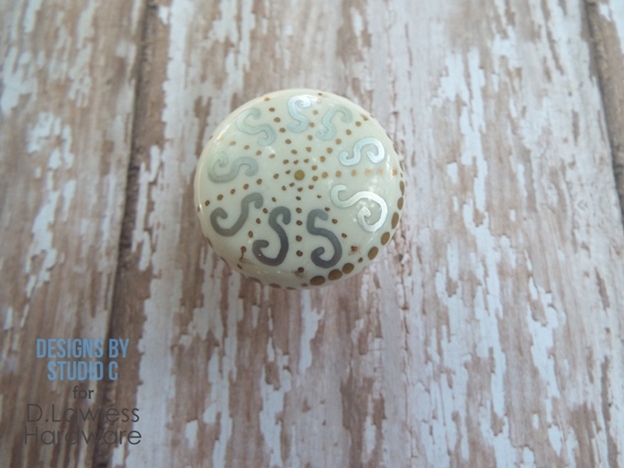 First ceramic knob says "Intergalactic attitude" and features what looks like Saturn with it's rings! The next two knobs feature Buzz Lightyear in a couple different hero designs. The images are a bit hard to see, but the knobs from Liberty Hardware and licensed from Disney so they are top quality. And Buzz flying again, but this time looking back like "Don't you wish you could fly too?"